An alien species originating from southern Europe and introduced for garden purposes into Ireland. Now very common on mortared stone walls and old buildings, especially near the coast. 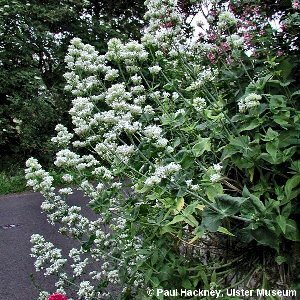 The flowers are red, pink or white, similar to common valerian (Valeriana officinalis) and with an unpleasant scent. 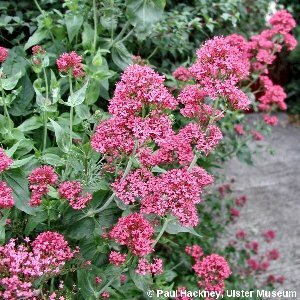 All names: Centranthus ruber (L.) DC.